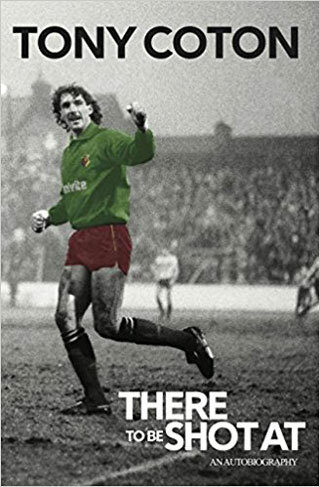 Tony signed for Watford from Birmingham City in 1984 for a fee of £300,000, making his debut in a 5-4 defeat at home to Everton. He won the Player of the Season award three times in his time at the club, and was also inducted into the club’s Hall of Fame, second only to Luther Blissett. Tony was signed by Manchester City for £1,000,000 in 1990 and also spent time with Manchester United and Sunderland. He also spent ten years at United as the club’s goalkeeper coach. Tony is currently head of goalkeeper recruitment at Aston Villa, and was interviewed by Watford Legends for our 100th interview in 2013. He released his autobiography, “There to be shot at” in September 2017. Hi Tony. 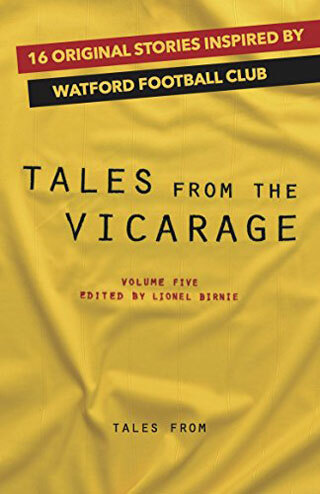 Thanks for talking to Watford Legends on this special 100th interview. How did your move to Watford from Birmingham come about? I remember that I was at St Andrews on a Monday. At the time, our Birmingham team had a bit of an off the field reputation. The shout came down the corridor “TC – You’re wanted in the manager’s [Ron Saunders’s ] office”. The lads were all giving me grief about what I must have been up to that weekend, but I knew I hadn’t been anywhere. We often had people who would phone the club talking about where the players had been seen, if only to cause trouble. The manager told me that I was rated as a top class keeper, but the club was in financial trouble, and an enquiry had come in from Graham Taylor at Watford, and that I had permission to go and talk to him. I thought, well, I’ve not got a car, so the assistant manager drove me down the M1. All the way down the M1 I was being told about what a good keeper I was, and I was very much under the impression that as far as Birmingham were concerned, I was gone. I stopped at Toddington services to talk to my dad, and he told me just to go and listen to what Graham Taylor had to say. I met Graham at what is now the Hilton on the A41, and then, as you know, as soon as Graham starts talking it’s game over! That man could sell ice to the eskimoes. I then said to Graham that I wanted 24 hours to think it through, and discuss it with my family. It then occurred to me that I was on my own in Watford with no car. The easiest thing would have been to stick me on a train back to Birmingham, but Graham Taylor gave me Eddie Plumley’s car and said to me “We’ll see you tomorrow then”. I know now looking back that it was a ploy by Graham to get me back to Watford, as I would have to bring the car back! I went home and discussed it with my dad and came down on the Tuesday night to watch the evening’s game with all the directors. I felt right, and signed the next day. Steve Sherwood was a well-established keeper. Did you come in knowing you would be the number one, or were you expecting a battle for the jersey? When I had originally spoken to Graham for the first time he told me all about his attacking philosophy, and where I was concerned, he had previously had me scouted three times, that last of which was done by Graham himself, when he stood behind my goal in a game at Fulham. He told me that he liked the fact that I was always shouting, and he liked how I got good distance on my half volley kicks. So from the way he was talking about my game, and considering he had paid £300,000 for me, which at the time was expensive for a goalkeeper, I knew that he was not bringing me in to be the number two keeper. What do you remember from your initial settling in period? Yes very well, although I was shocked when it came to my debut. We lost 5-4, and I’d never let in five goals before! I could immediately see what Graham said when he told me that we were great at scoring goals but needed tightening up in defence. Even in training I had never seen anything like it. John Barnes, Nigel Callaghan and especially Mo Johnston were pinging in goals for fun. You could see that if we could shut the door at my end, we would win games. And of course when you joined Watford, your fellow Birmingham team mate Mick Harford joined Luton. You should really have severed ties with him! Impossible mate, he’s my best mate. He still calls me three times a day now. But with him playing for them up the road, and with me playing for Watford, we certainly chose our location carefully when it came to going out for a beer! How did you like having John McClelland in front of you? Yes he was a very classy player. As a keeper you want to have a confidence in your centre halves and John McClelland was one of those. You had a good relationship with the Watford faithful, and you won the Player of the Year Award a record three times. Watford fans are special. They give players time to settle in and don’t get on players backs. That does wonders for your confidence, and it gives you that reassurance. I would go in to a game knowing that if I did make a mistake, they weren’t going to be on my back. I went to the Manchester City game in the cup and I thought that the turnout was magnificent. I’ve got my awards here in my study. They have pride of place, don’t worry about that. Every player would say it, and I would say it, that I would swap any of these awards for a team success, like winning a cup. But that was not to be at Watford when I was there. I’m very honoured to have won my Player of the Year Awards, and my Display of the Season awards, and I also feel very privileged to be in the Watford Hall of Fame. How did you feel about the Gary Plumley episode? You were out injured, but what did you make of what was unfolding in front of you? I thought it was a big mistake by Graham. I thought Steve Sherwood should have played, and if not, a young David James. Everyone connected with Watford that I meet always bring this up! Graham’s view was that Steve [Sherwood] had received a lot of stick about the Andy Gray goal in 1984. Steve’s finger was dislocated, I was injured, and Graham went for Gary. I’m sure Graham could have got somebody in to cover that shift. Steve wanted to play, and I think he should have played. I could see Graham’s point of view, but I thought it was the wrong call. Whether the decision was right or wrong not to play Steve Sherwood, I thought it was the wrong decision to play Gary Plumley. Not long after Graham left to go to Aston Villa, and Dave Bassett came in. How did you find the changeover? This is nothing against Dave, and I’ve seen Dave around and about many times, but it wasn’t my favourite time at Watford. Yes he did. I’ve been a passenger in a car when someone phoned Dave Bassett on a hands free system to ask about me. Dave had no idea that I was in the car. That person asked Dave Bassett why he had dropped me, and he could have said anything. But to be fair to Dave, he was right when he told my friend that I had had a bad game against Sheffield Wednesday over Christmas, and that was his cue to play Mel. I was out for four games in total. He brought Mel in and that was his prerogative to give Mel a chance. Fair play to Dave though, he didn’t slag me off or anything. It was his football based decision. Unfortunately for Mel, I was a bit of a favourite and the fans were shouting for me to return. I remember Bertie Mee came up to me and said “Don’t do anything rash, young man”. He also told me to bear with things for a week or so. I knew it meant one of two things. Either I was going to be sold or the manager was about to be sacked. In the end, it was Dave who departed, and I got my place back. You left Watford in a big money deal to go to Manchester City. Steve Harrison was then the manager, and I was close to signing for Terry Venables at Spurs. Steve called me in and told me about the Tottenham bid, and also told me that he really wanted me to stay and be a help to him as he embarked on his first managerial post. But I thought long and hard, I was 27/28 years old, and I decided to stay as I loved being at Watford and all the things that came with that. Come the next season, we were still in the second division, and I felt that I had done my bit for the club. So when the bid came in from Manchester City, and considering I had previously turned down Tottenham, I realised that these big moves don’t come around very often, and it was therefore time to go for it. I flew up to Manchester and that was that. My Watford career was finished. If you could turn back the clock, would you have stayed with Watford for a shorter period of time if it meant that you could be in a higher profile position to be part of the England fold? I know that my best football was at Watford. 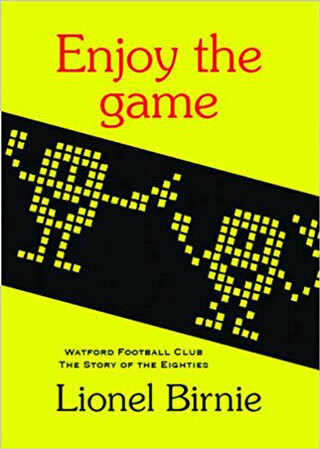 I was at my happiest at Watford and it was a joy to play there. Would I have stayed for less time, played elsewhere and played for England? For me playing for England wasn’t the be all and end all. I know that being at a bigger club gives you more exposure to the media, which would help an England career, but I had the view that if you are good enough, you will be picked. Unfortunately that wasn’t to be the case for me. You finished at Sunderland through a broken leg. After such a career, did it annoy you that an injury forced you to retire, rather than retiring on your own terms? Yes it did. It was forced upon me, but I’m just grateful that if it is to happen, that it is at the end of your career rather than at the beginning. Did it sting a bit, breaking your leg in five places? I was sat on the turf, knowing my leg was broken, and Kevin Ball, the Sunderland captain came to check on me. I gripped him. Afterwards Kevin said that he had never been gripped so hard in his life, so he knew it was serious. In the ambulance they cut of my sock, and all they could see was a big red mark, and everybody from the Paramedic to the doctor, to the radiographer were convinced that it was just badly bruised. And when they took my x-ray they saw the five fractures. The game in which I broke my leg was against Southampton which was approximately our 12th game of the season. I was very fortunate that included in the other games was a trip to Watford. Ever since I left the club I had been itching to get back to Vicarage Road, so I was lucky that the Watford game was when it was. I recall you got a good reception. It was an amazing reception that night. To go back, six years after I left, and get a full standing ovation was something I’ll never forget. I retired from coaching with a bad knee, and I’m currently contemplating as to whether to get that replaced. I’ve been involved in some coaching in the Middle East, and I’m doing some scouting. So I’m involved in football and have some different options as to what to do going forward, whether in coaching or scouting. I do miss the day to day banter of a changing room, though. Well thanks for the interview Tony.